In the world's most premium air market, London Heathrow, Gulf airlines are increasing their presence. Emirates has obtained a sixth daily slot, the first time in a decade that it will grow above five daily flights at Heathrow (it has meanwhile been growing at Gatwick). Qatar Airways has offered six flights since May-2014 but on smaller aircraft, while Turkish Airlines will have six daily flights on three days a week from Mar-2016. Etihad has not grown slots since last decade but has increased capacity by deploying A380s. Emirates will have an all-A380 operation at Heathrow in Jun-2016. Oman Air bills itself as a boutique airline focused on Oman, but with a high share of connecting traffic and ambitious growth plans, Oman Air is becoming a Gulf network airline. It paid USD75 million – reportedly a record – for a morning slot at Heathrow in order to have twice daily service. Beside the growth, the Big 3 Gulf airlines hold 2% of international Heathrow slots but account for 5% of seat capacity (more than local airline Virgin Atlantic). Including Oman Air and Turkish they hold 3.5% of slots. London Heathrow is a premium focus of attention but Gulf airlines are growing faster elsewhere in Europe as they diversify their networks away from London and the UK. In 2006, one in two of Emirates' Western European seats went to the UK, but in 2016 only 30% will. In Feb-2016 it became public that Emirates and Oman Air had acquired additional slots at London Heathrow. Emirates' sixth slot arrives into Heathrow in the late afternoon and departs in the evening. This meshes well with Emirates' schedule but is not the early morning arrival into Heathrow that typically fetches a high price. Emirates has not disclosed which airline it obtained the slot from; the Telegraph said it was from Air France-KLM, but others have contradicted this. The price was not disclosed. Emirates has operated five daily London Heathrow-Dubai services since 2005, with this service marking the first time in a decade that Emirates has increased its slot portfolio, although it has evaluated past slot acquisition opportunities. Oman Air is not one of the "Big 3" Gulf airlines and likes to position itself as a boutique airline, focused on serving Oman and growing tourism there. Yet Oman's connecting traffic is nearly as large (proportionally) as that of the Big 3 Gulf airlines and it is growing globally, so it is worthwhile to include it. Oman Air reportedly paid USD75 million for AF-KLM's slot, which has a precious 05:30 arrival time. The USD75 million is reportedly the most ever paid for a Heathrow slot, perhaps further indicating Oman's ambitions. Oman is a relative newcomer to Heathrow, having first flown in Jan-2009. This followed the Omani government's 2007 exit from Gulf Air to build up Oman Air instead, including launching long haul flights. AF-KLM selling Oman Air a Heathrow slot contrasts with Air France's past lobbying to prevent Oman from increasing its Paris CDG service from five weekly to daily. 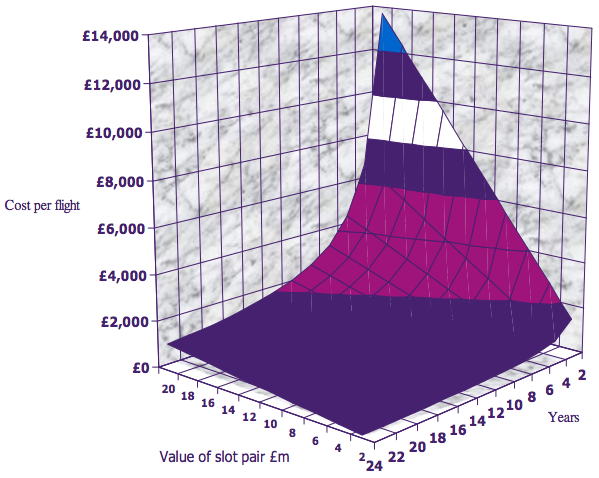 Slot trading is legal at Heathrow and other EU airports, but this is not the case globally. Asian airports generally do not permit slot sales as the slots are considered to be the property of the government. For example, Skymark Airlines risked losing its Tokyo Haneda slots if All Nippon Airways took majority control. Some airlines are asking for slot trading to be permitted at Hong Kong, which is running out of slots but has airlines sitting on slots used for flights with low load factors. Delta Air Lines' Chinese partners have helped Delta obtain mainland Chinese slots (terms undisclosed) while Air China has said it participated in a transaction with American Airlines involving Beijing and London Heathrow slots. Slot trading has not always been so clearly sanctioned. In Apr-2008, the European Commission clarified the EU position on secondary slot trading, previously thought not to be acceptable, by saying that EU legislation did not prohibit it. Thus the EU recognised the reality that such trading was taking place anyway, and acknowledged that it brought certain advantages. Slot trading must be transparent and take place between willing buyers and willing sellers. Price disclosure is not required. Slot transfers have on average resulted in the slot being taken over by an airline using a larger capacity aircraft, thereby increasing passenger throughput and bringing benefit to the airport. Since 2004, Heathrow's movements have held steady at approximately 470,000 per annum, with an exception in 2009 and 2010, coinciding with the global financial crisis. In 2015, Heathrow movements were up 0.4% compared with 2004. 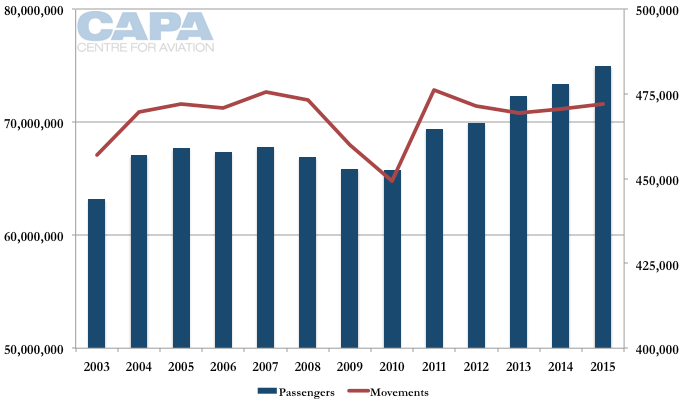 Yet passenger throughput increased 11.7% in 2015 compared with 2004. Since 2006 more Heathrow slots have been traded than allocated from what is available to airlines (the "availability pool"). As the volume of available slots decreases, especially for peak hours, airlines are left to acquire slots on the secondary market. Slot transfers peaked in 2013. Volumes in 2014 and 2015 volumes were on par with 2007. Only a minority of slot transfers is publicly disclosed. 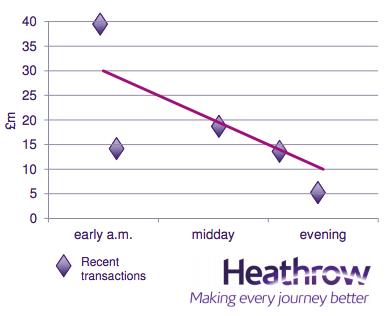 Heathrow says that on average there is a 30% drop in standard slot prices by midday, and a further 50% drop by late afternoon/evening, reinforcing the value of early morning slots. 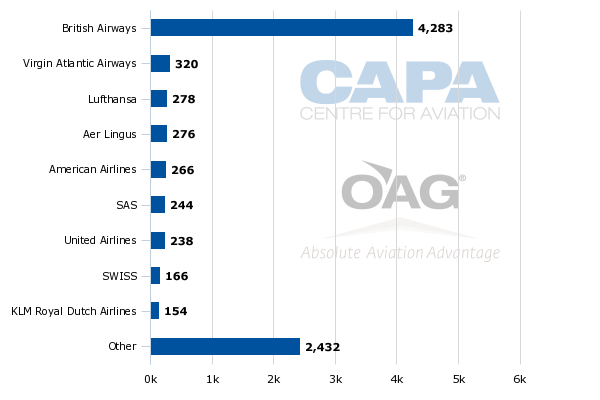 In 2013 CAPA examined Heathrow's slots and some of the publicly reported transactions. See related report: Heathrow Airport's slot machine: hitting the jackpot again? Heathrow says that airlines typically depreciate the value of a slot over 5-10 years. The earliest a third runway at Heathrow could be built would mean the addition of capacity in 2025. However some believe this to be overly optimistic. 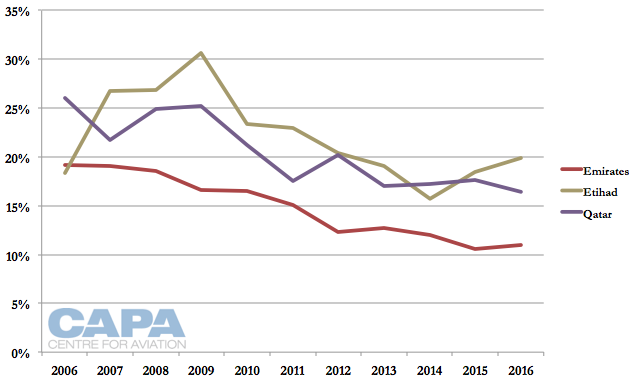 Some airlines have called for potential slots to be depreciated over a longer period of time, leading to a lower additional cost per flight and potentially making an acquisition more likely to be completed, even at a higher price. Entirely new slots at Heathrow are rare, and under European law half of them must be set aside for new entrants (as was the case for Vietnam Airlines' entry to Heathrow). It may be surprising that Emirates has not held the greatest number of slots at London Heathrow among the Gulf airlines. That number has been held by Qatar Airways, which has offered six daily flights from London Heathrow to Doha since May-2014. Turkish Airlines has also been making quite rapid gains at London Heathrow. Turkish started offering five daily flights every day of the week in Oct-2015. From Mar-2016, Turkish will have six daily flights on three days a week. Turkish is sometimes thought of as the 'fourth Gulf airline'. However, its beyond-Istanbul market to the east is much smaller than the beyond markets at the three Gulf airlines. Turkish's sixth freedom passengers make up 53% of international traffic, compared with 80-90% at the three Gulf airlines. But scale is important; the 53% in absolute numbers was 18 million, more than Etihad's total traffic and comparable to Qatar's transfer traffic passenger volumes. Although Emirates has not held the highest number of slots it has long deployed the most capacity, having moved to an all-A380 operation. Qatar uses a range of widebodies and has deployed all-business class A319LRs. Etihad has had the least seat capacity and has also held the fewest slots. Despite having half as many Heathrow slots as Qatar, in Aug-2016 Etihad is due to offer approximately 70% of Qatar's seat capacity by using larger aircraft, including twice daily A380s. On average, Etihad's seats per movement are just under Emirates'. Both Etihad and Emirates have seats per movements approximately 2.5 times Heathrow's average. Qatar's seats per movement are not even double Heathrow's average, and in 2014 were only 19% larger than Heathrow's average. In 2016 Qatar is showing significant increase in seats per movement; Etihad made a large leap in 2015 while Emirates did so in 2013. 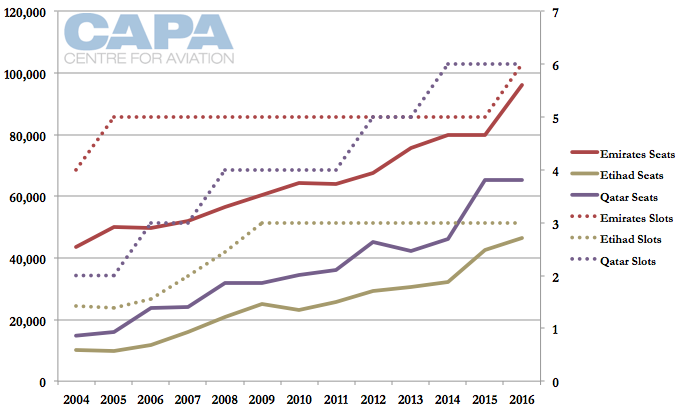 Gulf airlines' seats per movement have grown far faster than the Heathrow average, which has increased approximately 10% from 193 seats per movement in 2004 to 214 in 2015 (2016 not yet available). Turkish has an even lower average number of seats per movement in Aug-2016, at approximately 260. Turkish deploys its largest aircraft, 777-300ER, but also Airbus narrowbodies. Emirates' sixth slot is being used for a service that will arrive at London Heathrow at 16:10 and depart at 19:50. 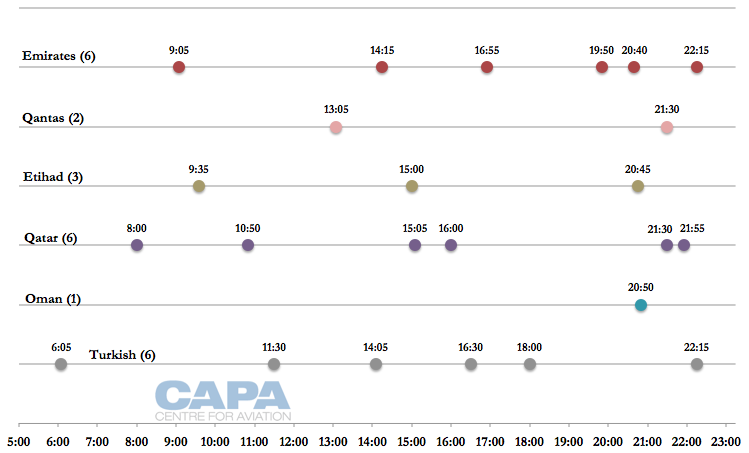 Although the 16:10 arrival fits nicely between Emirates' existing 14:25 and 18:40 arrivals, the flight arriving into Heathrow at 16:10 departs Dubai at 11:30, after Emirates' departure wave between 07:00 and 11:00. The new 11:30 flight can accommodate some connections that cannot make the 09:40 departure. The 11:30 service can be offered at a discount to incentivise flexible passengers to take a longer layover, thereby freeing up seats on the more prime 09:40 departure. Emirates has the earliest London Heathrow arrival time of the Gulf airlines (07:05). JV partner Qantas arrives 10 minutes earlier at 06:55. Etihad's first flight arrives at 07:35 while Qatar's arrives at 09:05 and Turkish's not until 09:50. Oman Air's second Heathrow slot will reportedly give it an arrival time around 05:30. This is potentially valuable if Oman Air can have fast connections in Muscat – as opposed to the attraction of an early morning London arrival being negated by a long layover at Muscat. However, Oman Air still faces the challenges of its limited network, customer brand awareness and the Muscat airport experience, compared with connecting airline competitors. Oman Air will reportedly have a 08:30 departure from Heathrow. This is the second earliest after Qatar (08:00) and before Emirates' first departure of the day (09:05), or Etihad's first departure of the day (09:35). 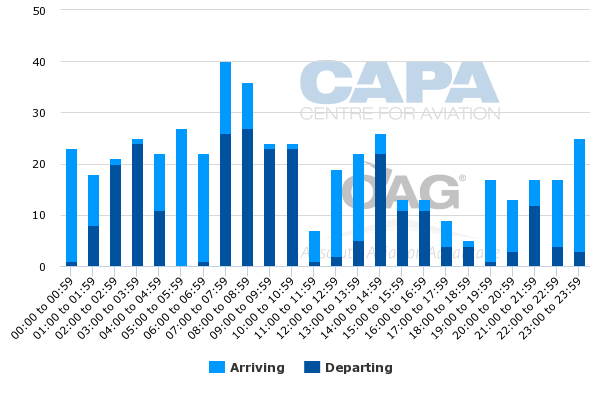 The departure timing for Emirates' sixth service (19:50) is only 50 minutes before an existing departure at 20:40 (see chart below). Although this may present overlap, the new flight arrives at 05:50 the following morning and feeds very well into Emirates' morning arrival wave from approximately 04:00 to 09:00. Subsequent departures are from 07:00 to 11:00. The new service also gives Emirates three evening Heathrow departures (four, if including Qantas) compared with two for Qatar and one for Etihad. These evening flights feed into the airline's morning scheduling bank, one of their two strongest banks. 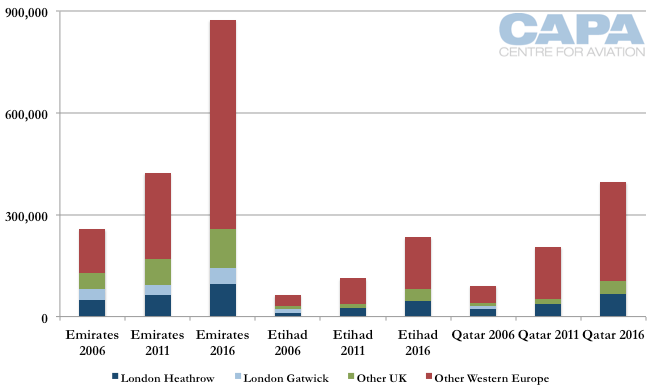 Despite the slot acquisitions by Emirates and Qatar Airways in recent years, the three Gulf airlines hold 2% of London Heathrow slots, according to OAG data for early Jun-2016 schedules. This is for slots used internationally; airlines holding slots for domestic services can convert (and have converted) them to international services. Including Oman Air's planned twice daily service and Turkish Airlines, the share rises to 3.5%. Yet the 2% from three airlines – Emirates, Etihad and Qatar – is half that from all Northeast and Southeast Asian airlines. It is also half the share of Virgin Atlantic, the (much) smaller other airline based at London Heathrow. IAG – including British Airways, Iberia, Vueling and Aer Lingus – accounts for 54% of London Heathrow slots. As noted earlier, the Gulf airlines – Emirates and Etihad especially – offer significantly more seats per slot than Heathrow's average. While the three Gulf airlines hold 2% of slots, they account for 5% of seat capacity. Their seat share and that of Virgin Atlantic have been rounded to the nearest percentage, but the three Gulf airlines offer 5% more seats than Virgin Atlantic, to give an indication of their size. Despite having fewer slots than the Air France-KLM group, they offer more than twice AF-KLM's seat capacity at London Heathrow. 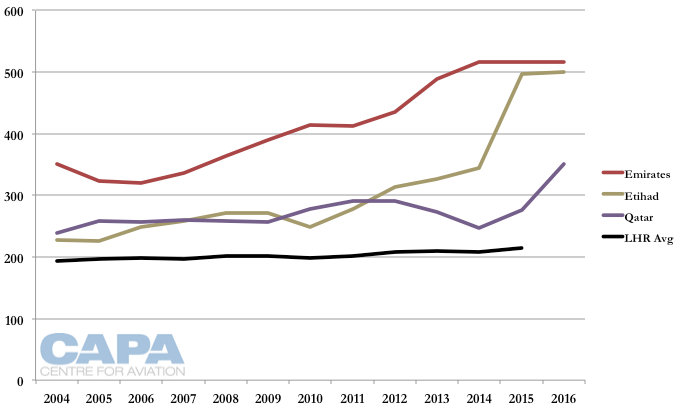 The three Gulf airlines' 5% seat share compares with the 6% share from all airlines from Northeast and Southeast Asia, or all the airlines in the Lufthansa Group. No Gulf airline is one of Heathrow's nine largest airlines based on slots from a single AOC (and not airline grouping). Looking at seat capacity, with its sixth daily flight, Emirates will nudge up from ninth largest airline to eighth largest. Emirates is the only non-European/North American airline among Heathrow's nine largest airlines, based on seats offering. Not only do some airlines (Virgin Atlantic, the North American operators) have more slots than the Gulf airlines, they hold a higher proportion of the more valuable early morning and morning slots. 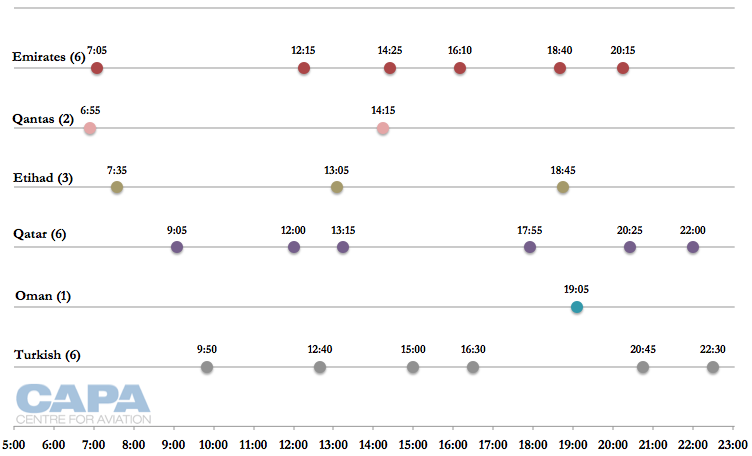 This simple calculation of slot share across the entire day may not be fully reflective of commercial opportunity. London Heathrow may capture attention, but Gulf airlines are growing across the UK – and wider Western Europe. Although Gulf airlines are expanding at London Heathrow, they are growing faster in other parts of the market. 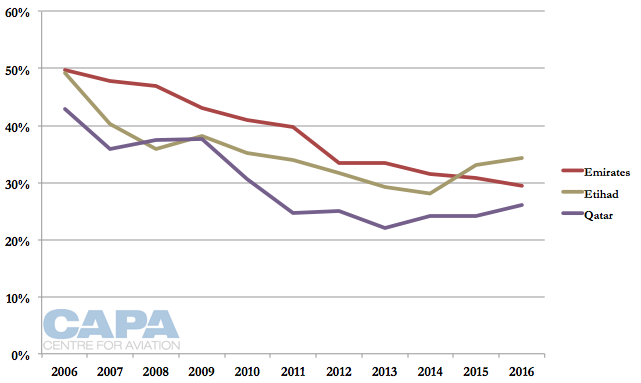 London Heathrow capacity as a percentage of total Western Europe seat capacity has declined for Emirates, from 19% in 2006 to 11% in 2016; for Qatar from 26% to 16%; and for Etihad capacity has slightly increased from 18% to 20% due to its deployment of A380s to London Heathrow, its only A380 market in Europe. This diversification is not only occurring due to growth in continental Western Europe, but also due to growth to other parts of the UK. For Emirates, London Heathrow capacity as a share of total UK capacity has held stable at approximately 37-40% over the last decade. Including London Gatwick, Emirates' London capacity as a share of total UK capacity has declined from 62% in 2006 to 56% in 2016. Qatar's London capacity has declined from 80% of UK capacity in 2006 to 63% in 2016, with the biggest declines since 2014 when Qatar added other UK points. Qatar's London measurement includes Heathrow and Gatwick, the latter of which it no longer serves. Etihad's London capacity (it only briefly served Gatwick) has declined from being 75% of total UK capacity in 2006 to 58% in 2016. In 2006, half of Emirates' Western Europe seat capacity went to the UK. In 2016, only 30% does. Etihad also had approximately 50% of Western Europe seat capacity go to the UK in 2006, but in 2016 this capacity is at 34%. For both airlines this excludes their JV partners: Qantas excluded from Emirates, and then airberlin and Alitalia from Etihad. The impact on Etihad is larger as its JV partners operate more services to Abu Dhabi than Qantas, and Etihad is smaller than Emirates. Qatar's UK capacity comprised 43% of Western Europe seat capacity in 2006 but reduced to 26% in 2016, the most diverse of a Gulf airline. The UK was a natural growth market for Gulf airlines. British Airways was heavily focused on the trans-Atlantic, whereas AF-KLM and the Lufthansa Groups (as they came to be) were tuned in to Asian growth. The UK was more generous with traffic rights and slots. Heathrow slot constraints created an opportunity for Gulf airlines to serve other UK points, enabling a connection over the Gulf instead of London (or Amsterdam, or another city). For Emirates, which has served Australia from the 1990s (Etihad and Qatar opened Australian services only in 2007 and 2009, respectively), one-stop Australia-UK was a logical connecting flow. The UK is the largest European market, by far, from Australia. Capacity constraints at some of Europe's larger airports have increased their reliance on indirect connectivity. At London Heathrow, for example, total connectivity rose by 51% from 2005 to 2015, but direct connectivity fell by 1% and indirect connectivity was up 72%. Much of the growth in indirect connectivity at Europe's big hubs comes from one stop connections through hubs in the Gulf and Turkey. This is generally in the public interest, but reliance on the indirect places connectivity in the hands of someone else. There will inevitably be more Gulf airline growth at Heathrow and elsewhere in the UK. Increasing congestion at London Gatwick makes slots difficult to obtain at times. Launching services to other airports in the greater London region could free up capacity at Heathrow that was previously filled by passengers driving to Heathrow instead of flying out of a smaller airport closer to them, not having a Gulf airline service (but perhaps served by KLM). The UK's airlines – British Airways especially – are not prone to complaining about Gulf airline competition. Yet for those airlines and countries concerned about Gulf airlines coming to define their connectivity, it would be preferable to skip protectionism debates and focus instead on bolstering their own industries. The Gulf airlines, hubs and aviation ecosystems that they oppose actually offer a wealth of lessons.